When it comes to our Wyckoffs residential real estate outlook, some truisms say it all: “Strike while the iron is hot!” “The early bird gets the worm!” “Time and tide waits for no man…”Sometimes those hoary old clichés have survived because their wisdom doesn’t ever change —and right now, some hard facts and figures may make these more relevant than usual. Wyckoff real estate watchers, buoyed by last Tuesday’s stock market jump (a reaction to the bullish real estate statistics), were also digesting The National Association of Realtors®’ latestreport: it carried more cheerful news about the expanding market for existing-home sales. Final numbers for April showed sales moving at the highest pace since November of 2009, which was a single month that spiked due to the home buyer tax credit. It also marked the 22nd consecutive month of year-over-year monthly price rises. What is the “even better” news for potential area real estate sellers? It’s about the relationship between available inventory and the pace of sales. The listed inventory across the nation is actually 13% lower than a year ago — which translates into a median time on market of just 46 days. A year ago, that figure was 62 days. In other words, across the nation, sales of existing homes are moving a full 45% faster! time to “strike while the [market]’s hot”! In case you have been one of those trend watcher, I’m standing by. Why not give me a call to discuss how you can take advantage of today’s outlook? 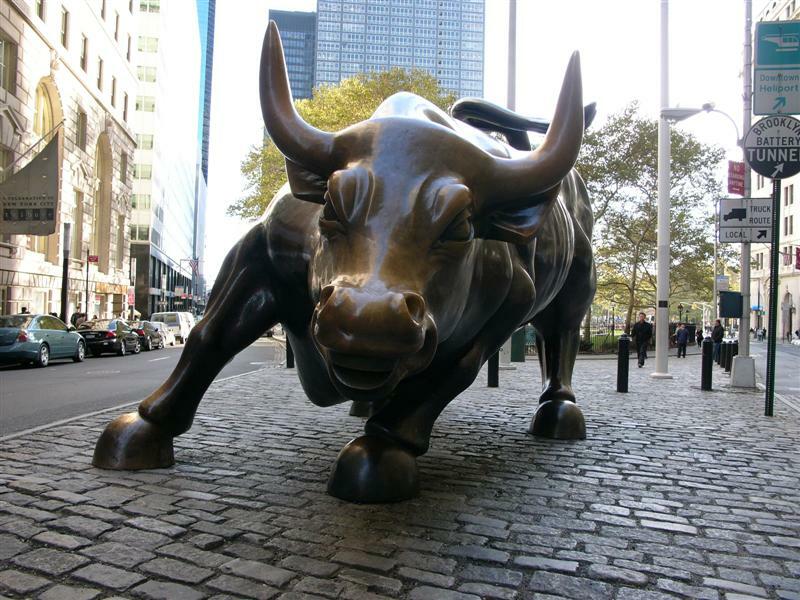 Even though the Wyckoff housing market looks as certain to rise as the spring shoots, behind that optimism is the perenniel question about whether another “dip” is coming — a lot of which has to do with Wall Street. Remembering how 2008’s economic downturn saw the housing market and stock market take blows pretty much simultaneously, it’s not far-fetched to assume that the two markets always move together. And while some folks are emboldened as stocks soar to record-level heights, for others, the same phenomenon causes altitude sickness. What goes up must…well, you know the rest! Historically, the housing market and stock market are hardly inextricably joined. Nor should that be a surprise. On the one hand, the housing market reflects a real good (as ‘real’ as it gets!) — something that carries intrinsic utility. That won’t change until people figure out a way to exist without shelter. Stocks, on the other hand, represent participation in ownership of a venture, and a share of financial gain (or loss) from its success. Both markets are influenced by some of the same factors (employment, inflation, etc. ), but to different degrees. It’s widely agreed that the direct influence of one on the other waxes and wanes. So when anyone thinks about whether a dip is coming in the stock market, and whether that should influence their real estate thinking, I’m pretty certain that the answers are less important than the more measurable effects that buying or selling a home will have on their day-to-day living experience. With positive housing market data continuing to arrive (like the recent rise in land values — up 13% last year; the first annual gain in eight years), it’s hard not to agree with the majority of economists that the positive housing market trend is likely to keep going for a good while longer. If you are considering selling your home and want to explore the housing market in Wyckoff this April, give me a call. Regardless of what each market is doing at any given time, I keepe the latest up-to-date statistical and local neighborhood information available for my clients. The Weather Channel has nothing to do with it. What’s happening up in the ski resorts, likewise. 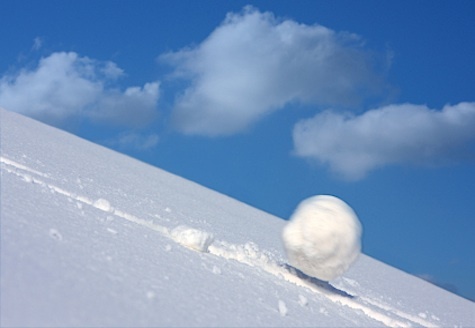 The ‘snowball effect’ being discussed in print and on TV won’t soften anytime soon (even if the groundhog was right about winter being over).. This is an economic snowball — one that’s gathering momentum following what CNN’s Money website describes as “the best year for U.S. real estate market in five years.” Businesses that stand to benefit from growth in the Wyckoff housing market are watching closely. It was even more heartening as a counter to last week’s government indications that the greater economy seemed to slow. The housing sector’s performance was so strong it acted as a tonic to its many associated industries: among them, many Wyckoff retailers. Locally, fingers were crossed that Wyckoff businesses will be swept up in the snowball. National suppliers expected that to happen. “Housing is what we see leading the economy out of the doldrums,” according to the CFO of United Technologies Corp. The WSJ reported evidence that Americans are spending more to build and refurbish their properties. All in all, the boost from the housing recovery is one snowball no one seems to think is likely to melt soon — regardless of what Punxsutawney Phil has to say about it. We have seen a slight rise in home prices in Wyckoff NJwhich points out some great bargains at the moment, I expect the home prices to start rising evern more after the 1st of the year, because of the presidential election being over and also Wyckoff still being a very desirable area to buy a home in as well as the dwindling inventory, Bergen County Real Estate has allot to offer new home buyers as well, with great schools and shopping now would be the time to look for a home in Wyckoff. 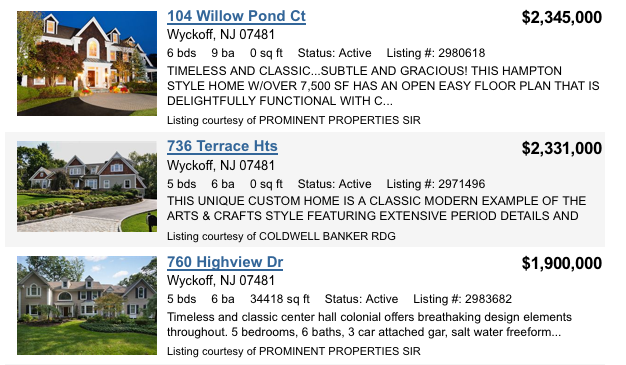 The median list price in November for single family homes in Wyckoff is $769,900. 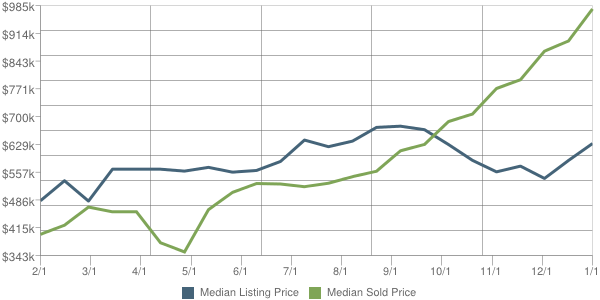 The list prices dropped by -7.22% from the previous month. The price per square foot for listings in this area is $125. Visit my Website to Search for homes in Wyckoff NJ or to be notified when Wyckoff Homes come on the market.